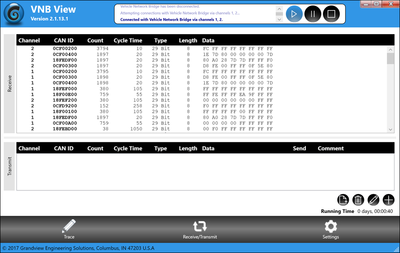 View, transmit and record CAN data traffic. 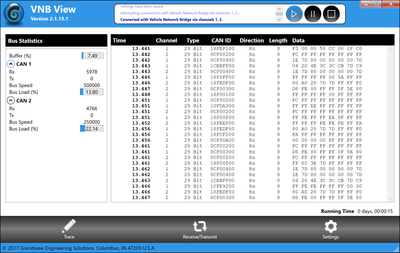 The VNB View software for Windows® is a simple CAN monitor for viewing, transmitting, and recording CAN data traffic. 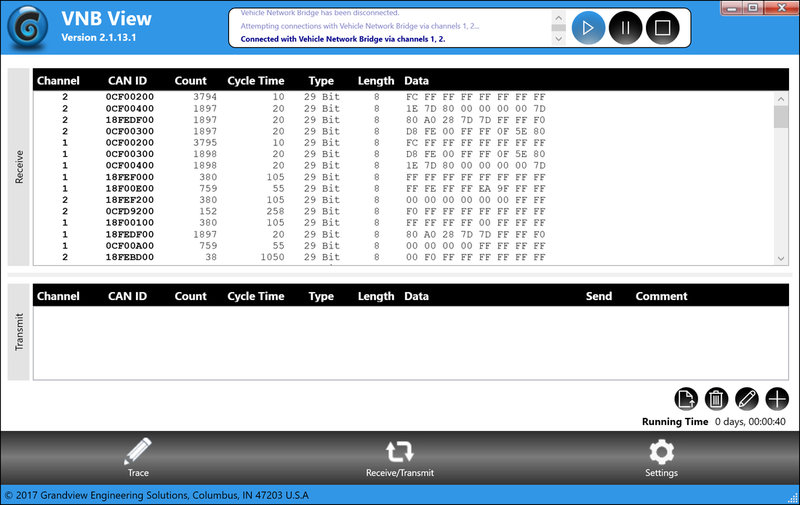 Messages can be transmitted manually and periodically at a user-determined bit rate. The trace function can be used to record and save CAN data traffic. 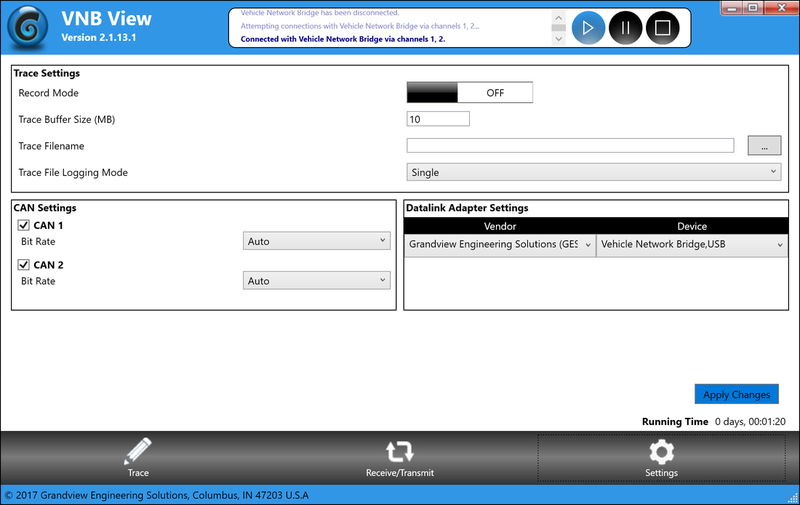 VNB View is supplied with every Vehicle Network Bridge hardware product and allows a quick and easy start. 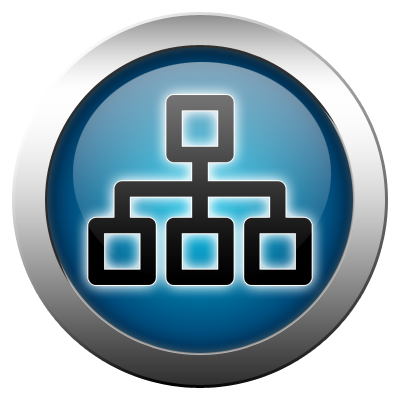 After selecting the hardware, with a simple click of a button the user can access all the traffic on the CAN network. ​​Where world class innovation meets Midwest determination. Copyright © 2018. Grandview Engineering Solutions, LLC. All rights reserved.